So, a blog reader tracked me down on the interwebs in a panic. He had a forum question and one of my blog posts seemed to be headed in the general direction of his desired answer. Instead of printing or saving the numeric BitLocker Recovery Key to a TXT file, the user wrote it down on a piece of paper. Unfortunately, and as fate would have it, one of the number groups was mistakenly written only 5-digits long. When he later tried to unlock the USB drive that was secured with BitLocker, Windows popped up an error because the key was wrong. 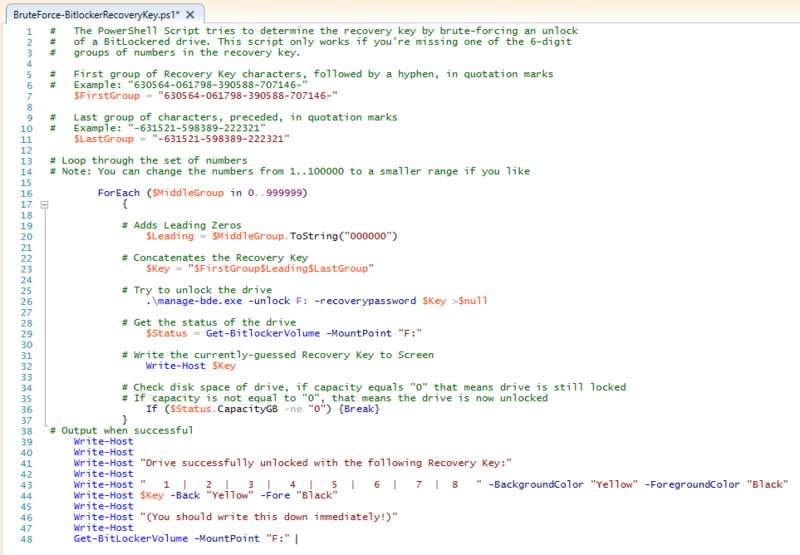 He hoped there was some easy way to show the Recovery Key via PowerShell (which there is, but only if the drive was unlocked). And he couldn’t unlock the USB drive without the Recovery Key. It’s the classic ‘chicken or the egg’ scenario. Since the drive was locked, PowerShell couldn’t display the BitLocker recovery key, and there were very few options left. 8 groups x 6 digits each = 48 digits total (not including the dashes). In other words, he was missing the “E’s” in the example above. Yes, this is a real BitLocker Key. And, no, this isn’t the key from the user in question. 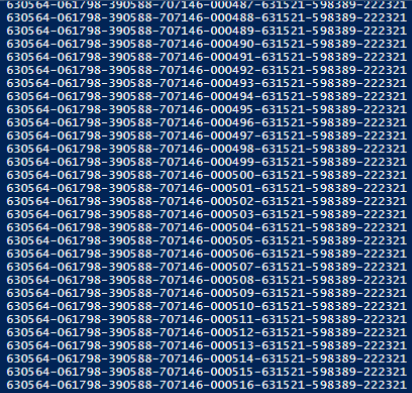 It’s from a brand new USB flash drive that I just encrypted. In plain English, we need PowerShell to take Groups 1-4, insert the dashes, insert 000001, append Groups 6-8 with the dashes, then try to unlock the drive. If that key fails, do it again, but use 000002 in the middle (and so on, and so on) until the drive unlocks. It was a bit frustrating to figure out the right syntax, but I was finally able to write a PowerShell script to plow through the possible combinations. The script now works as expected, effectively brute-forcing the drive unlock. There is no crypto involved. (you just try all combinations until it unlocks). At a speed of 7 guesses per second, it takes about 40 hours to go through all 1,000,000 possible combinations of ######. 7 digits would require 400 hours. 8 digits would require 4,000 hours. 12 digits (######-######) would take 40 million hours. 48 digits would be practically infinity. The practical benefit is if you’re missing 1-6 digits (and know where those digits go in the Recovery Key). Note: Obviously, this is not meant to penetrate BitLocker. It’s just an edge-case tool where you know that one group of 6 numbers is missing or incomplete. If you’re ever in that situation yourself, Microsoft is certainly not going to help you. 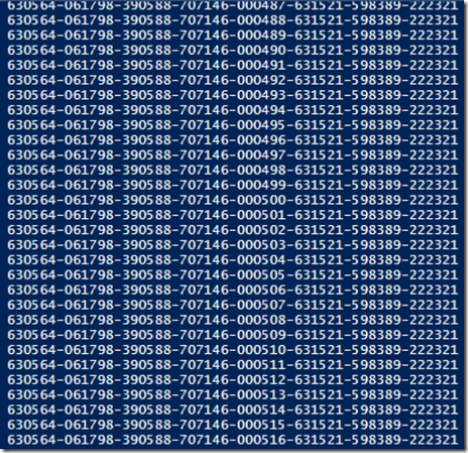 Below is a screen shot of the PowerShell code (with line numbers). Yes, it really is that boring. So I guess it’s time to give you the PowerShell code so you can test this IN YOUR OWN LAB ENVIRONMENT ONLY! click Yes if prompted by User Account Control). Copy everything in the box labeled “Actual PowerShell Code” below. Replace "630564-061798-390588-707146-" on Line #7 with your first known groups of 6 digits. Make sure to include the dashes. Enter the remaining known groups of digits and dashes on Line #11. Sit back and watch it go. The script will stop when the drive is unlocked. Note: If you want to stop the script prematurely you can hit Ctrl-C or the red Stop button in ISE. This script is for BitLocker To Go (or hard drives that are connected to an already running operating system). If your C: drive is the one that is locked, take it out and slave it off of another functioning PC. You have to change the drive letter in the script to match your drive (see Step 6 above). And you have to know at least 42 of the 48 digits of the BitLocker Recovery Key. # groups of numbers in the recovery key. $Status = Get-BitlockerVolume -MountPoint "F:"
Write-Host "Drive successfully unlocked with the following Recovery Key:"
Write-Host " 1 | 2 | 3 | 4 | 5 | 6 | 7 | 8 " -BackgroundColor "Yellow" -ForegroundColor "Black"
Write-Host $Key -Back "Yellow" -Fore "Black"
Write-Host "(You should write this down immediately!)" 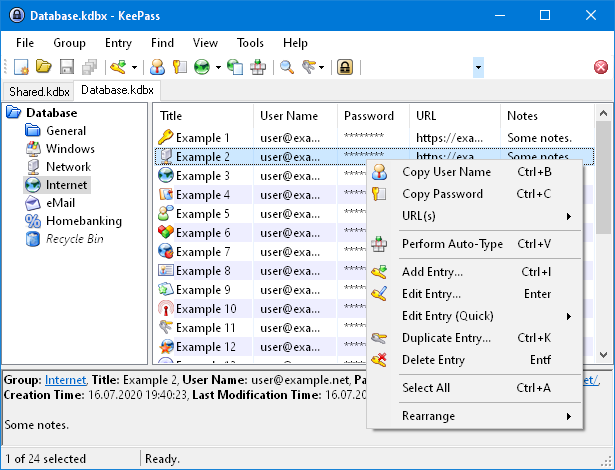 KeePass is a free open source password manager which helps you to manage your passwords in a secure way. You can put all your passwords in one database, which is locked with one master key or a key file. So you only have to remember one single master password or select the key file to unlock the whole database. The databases are encrypted using the best and most secure encryption algorithms currently known (AES and Twofish). I use separate KeePass databases for personal and professional information. Being able to carry the KeePass program and your database on an encrypted (BitLocker To Go) flash drive is great! Networks today are no longer a simple group of laptops, PCs and on-premise servers controlled by the IT department. Now we have to contend with cloud services, Bring Your Own Device (BYOD) scenarios, the Consumerization of IT (CoIT), telecommuters, and hybrid networks. Simply put, networks aren’t simple anymore, especially when it comes to protecting company data. Fortunately, Microsoft has a series of eight whitepapers on Rights Management Services (RMS) that can help you wrap your head around the options available for protecting sensitive information. By following the steps outlined in this document you should be able to successfully prepare your environment to leverage this BYOK capability, enable it and manage your key over the time. This document provides step-by-step information on how to configure and use Azure RMS to perform content protection on your corporate Office document in conjunction with federation on-premises. By following the steps outlined in this document you should be able to successfully prepare your environment to enable and monitor the usage of your Azure Rights Management service’s tenant. This document is intended to provide a better understanding of how to use an on-premises AD RMS infrastructure for the Exchange Online services of the organization’s Office 365 tenant in the Cloud. This document is intended to help you preview and evaluate the Azure Rights Management service technology. 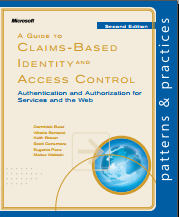 It contains a brief information on IPC and the Azure Rights Management service that helps you understand what it is, and how it differs from on-premises Active Directory Rights Management Services (AD RMS). It provides step-by-step information on how to configure and use the Azure Rights Management service to perform rights protection on your corporate content. This document provides information about the Mobile Device Extension for AD RMS, and how it can be deployed on top of existing Windows Server 2012 and Windows Server 2012 R2-based AD RMS clusters to support the important devices with mobile RMS-enlightened applications. By following the steps outlined in this document you should be able to successfully prepare your environment to deploy the Mobile Device Extension, and start using it within your organization to create and consume protected content on all the important devices. By following the steps outlined in this document you should be able to successfully prepare your environment to deploy the Azure Rights Management service (Azure RMS), install and configure the Rights Management connector, and start using it within your organization to create and consume protected content. This document provides information about the Rights Management sharing applications to share protected content on all important devices and the Rights Management for individuals to enable anyone to share protected content. …that’s Latin “Forewarned is forearmed”. Fortunately, you don’t need a degree in Computer Science (or Latin) to take practical steps to protect yourself. But you do need some basic, solid information to acquaint you with attack vectors and terms. If you don’t know the difference between a virus and a worm, this infographic is for you! Get ready, because this is a long, LONG post, but well worth the read. You Lost the BitLocker Recovery Key? Today I was asked for the BitLocker Recovery Key for a previous client. Since they’re not my client anymore that’s information that I don’t (and wouldn’t want to) have in my possession. 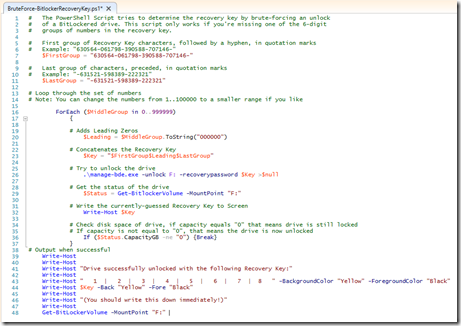 “What do you do if you lost (or if nobody documented) the BitLocker Recovery Key”? If you have administrator access to the running server, obtaining the key can be done from an Administrative Command Prompt with manage-bde.exe. Typing the name of the executable with no parameters outputs the help file. Configures BitLocker Drive Encryption on disk volumes. -status Provides information about BitLocker-capable volumes. -on Encrypts the volume and turns BitLocker protection on. -off Decrypts the volume and turns BitLocker protection off. -pause Pauses encryption or decryption. -resume Resumes encryption or decryption. -lock Prevents access to BitLocker-encrypted data. -unlock Allows access to BitLocker-encrypted data. -autounlock Manages automatic unlocking of data volumes. -protectors Manages protection methods for the encryption key. -tpm Configures the computer’s Trusted Platform Module (TPM). Configures the identification field for a volume. Forces a BitLocker-protected OS to recover on restarts. Modifies password for a data volume. -changepin Modifies PIN for a volume. -changekey Modifies startup key for a volume. -upgrade Upgrades the BitLocker version. Runs on another computer. Examples: "ComputerX", "127.0.0.1"
-? or /? Displays brief help. Example: "-ParameterSet -?" -Help or -h Displays complete help. Example: "-ParameterSet -h"
Note: You may notice in the above example that the C: volume is not shown. That’s because on this PC BitLocker has not been setup yet. (*Or whatever drive letter for which you need the key). 1) What’s the Event ID for an Account Lockout? 2) What about the Event ID denoting that permissions were changed on an object? 3) Or the Event ID for locking or unlocking a workstation? Don’t worry, I can’t remember those off the top of my head either. And that usually means sifting through bookmarked links, PDFs or hitting Google to look it up. The spreadsheet also contains a tab with a complete description of the event message. This is a great tool for creating event monitors. Download and enjoy! 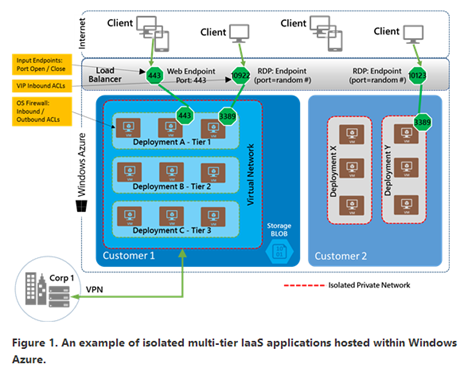 This document provides guidance on securing network communication for applications deployed in Windows Azure, enabling customers to determine how best to protect their virtual infrastructure and data. Computer lessons that are learned the hard way (through first-hand experience) are very painful. But these days those lessons can cost you a lot more than lost time – you can lose your identity or the safety of the ones you care about. Microsoft has released a series of 27 documents to help. Bill Kam of Trend Micro is coming to Cincinnati to give a FREE live in-person training on Trend’s Worry Free products – best practices for install/configure and how to protect from things like “fakeav”, and new tools for the partner/IT Pro to use as well. He may cover some of the Worry Free 7 info shown recently in Taipei. There are some PPT’s comparing Trend with the competition on a level playing field showing memory and CPU utilization that he will go over. Bill will talk about all the features in Worry Free (some that many probably are not aware of). After the class, you can go online and take a “Certification” test (FREE) and with passing, you can get some benefits like showing up in a search on their site for a reseller in the area, website badges and marketing materials (think SBSC program). Good stuff! Lunch is included for this event!